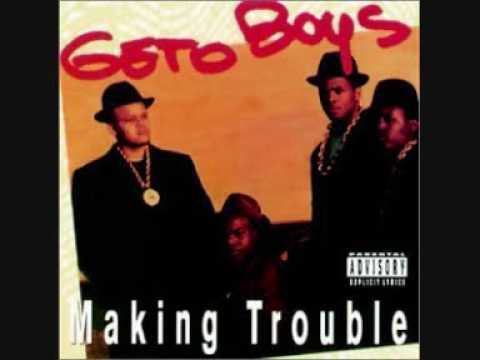 The original “Ghetto Boys” (before the spelling change to Geto Boys) consisted of Raheem, Sire Jukeboxx, and Sir Rap-A-Lot. They released a single, “Car Freak” in 1986 but Raheem and Sir Rap-A-Lot left soon after. James Prince (the founder of Rap-A-Lot records) brought in DJ Ready Red, Prince Johnny C, and a dancer known as Little Billy (Bushwick Bill) and an LP, “You Ain’t Nothin” soon followed in 1987. You Ain’t Nothin’ is a track that’s typical of the mid 80’s era, with lot’s of braggadocio flows, as Boxx and Johnny C call out sucka-emcees over Red’s drums and Elvis sample. The group released another LP a year later with, “Be Down” before dropping their debut album “Making Trouble” in 1988. Recorded at Rap Hard Studios, Houston, Texas.